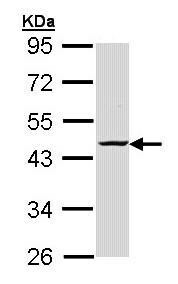 Recombinant fragment corresponding to a region within amino acids 1-259 of RRM2 (P31350). 293T, A431, H1299, HeLa, Molt4 whole cell lysates; A549 cells; Human Cal27 xenograft tissue. Our Abpromise guarantee covers the use of ab154964 in the following tested applications. 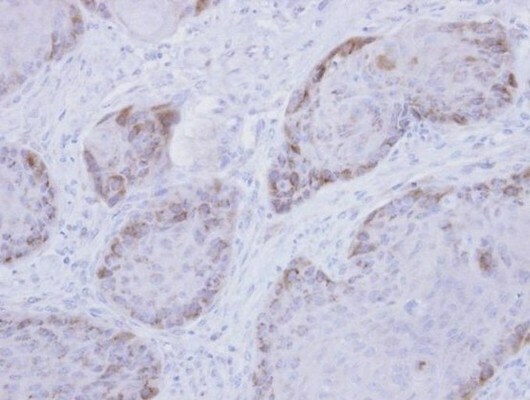 Immunohistochemical analysis of paraffin embedded Human Cal27 xenograft tissue labeling RRM2 with ab154964 at 1/500. 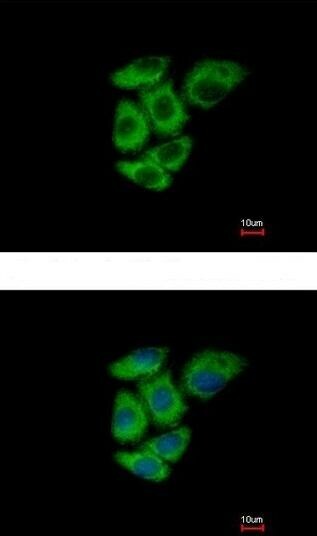 Immunofluorescence analysis of methanol fixed A549 cells labeling RRM2 with ab154964 at 1/500. Lower panel shows costaining with Hoechst 33342.
ab154964 has not yet been referenced specifically in any publications. Publishing research using ab154964? Please let us know so that we can cite the reference in this datasheet. There are currently no Customer reviews or Questions for ab154964.